Malaysian Prime Minister Tun Dr Mahathir Mohamad will be the first Malaysian and democratically-elected Asean leader to be invited to speak at the Oxford Union. Youth and Sports Minister Syed Saddiq Syed Abdul Rahman tweeted the good news on Tuesday night (Jan 15), indicating that this event is taking place after months of planning. “Can’t wait! Malaysia, the tiger of Asia!” he said, sharing that the speech will take place on Friday (Jan 18). After months of planning, Tun M will finally make his appearance at the Oxford Union. He will be the first Malaysian & democratically-elected leader from ASEAN to be invited to speak at the esteemed Union. The tweet was accompanied by a picture of Dr Mahathir reading the invitation letter, dated Dec 3, 2018, from the Oxford Union president Daniel Wilkinson. 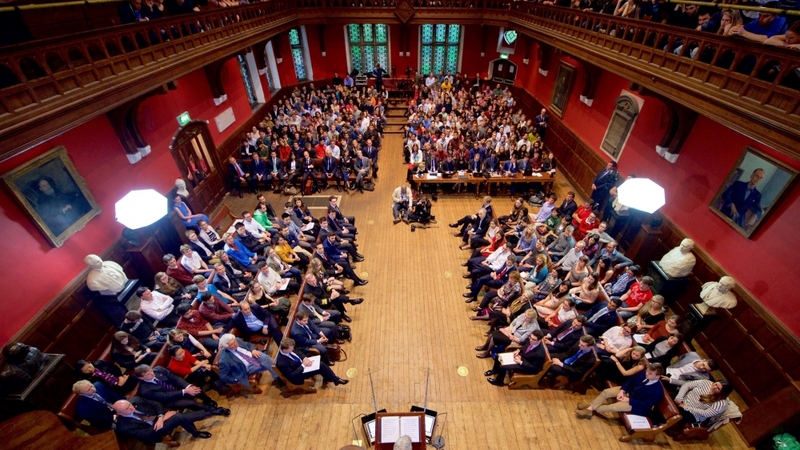 According the Oxford Union's official Facebook page, it is the world's most prestigious speaker and debating society, with an "unparalleled reputation for bringing international guests and speakers to Oxford. It has been established since 1823 and aims to promote debate and discussion not just in Oxford University, but across the globe". The Oxford Union has hosted Morgan Freeman, Dame Judi Dench, Sir Ian McKellen, Natalie Portman, Johnny Depp, Stephen Fry, Anna Wintour, Buzz Aldrin, Michael Jackson, Shakira, Senator John McCain, General David Petraeus, Malala Yousafzai, Sepp Blatter and David Cameron, among others.